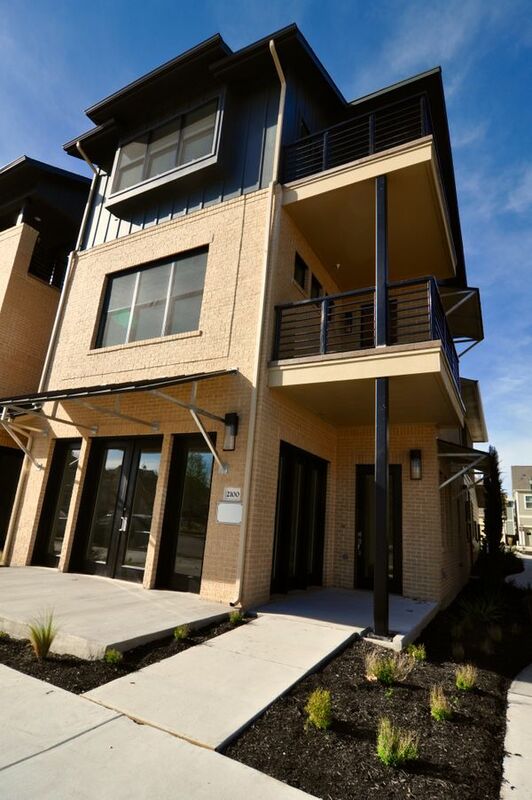 Explore this rare opportunity to live where you work. 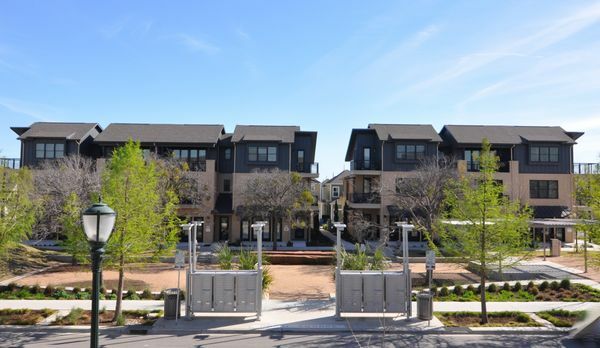 Tucked in between the Mueller Market District and Aldrich Street District, 2100 Robert Browning is part of a collection of 14 “Shop Houses” that line Paggi Square, an intimate urban park within Mueller Austin. 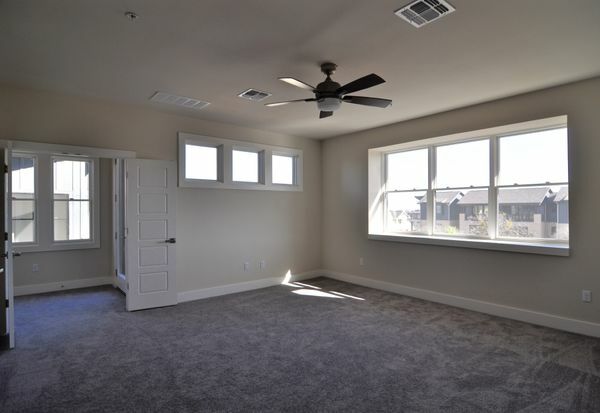 A true LIVE+WORK space. 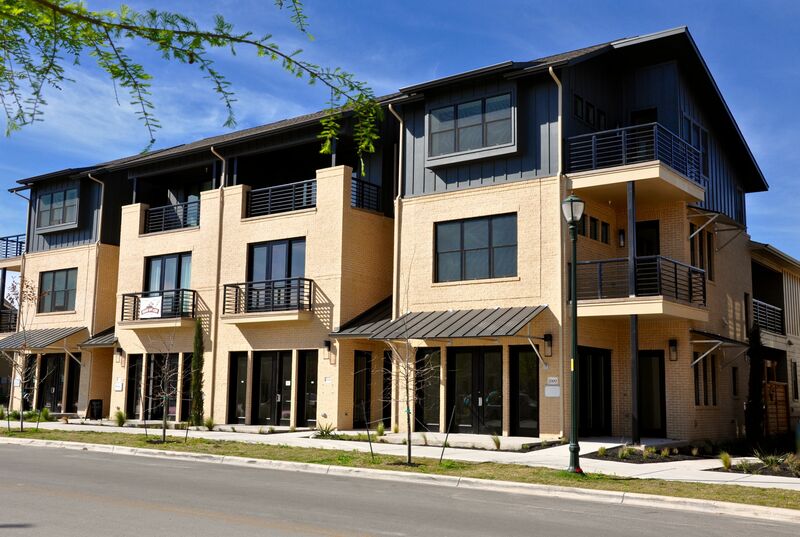 This contemporary-designed, three-story building (corner unit) offers 2 floors of residence atop a street-level commercial space, ideal for office or retail. 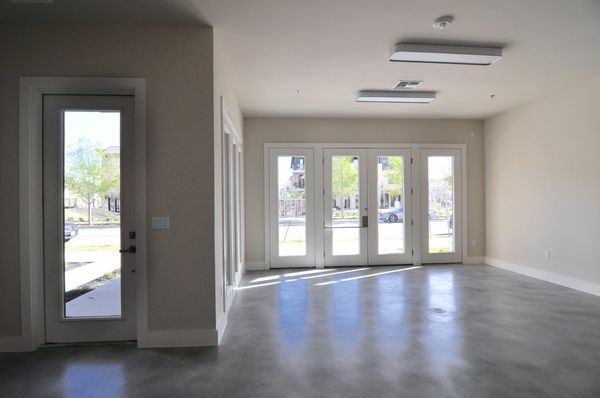 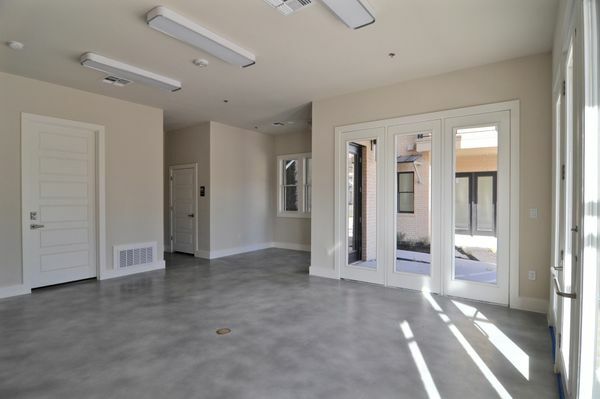 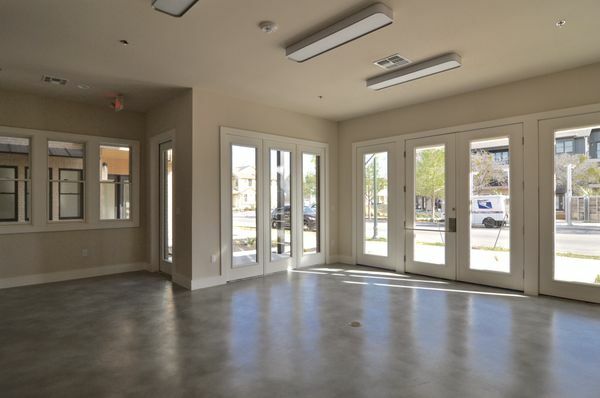 The ground-level “shop” space features storefront windows & doors, dedicated signage, 10’ foot ceilings, concrete floors, ADA restroom, abundant storage and keypad controlled entry to the “house” above (also accessible via a separate exterior side entrance). 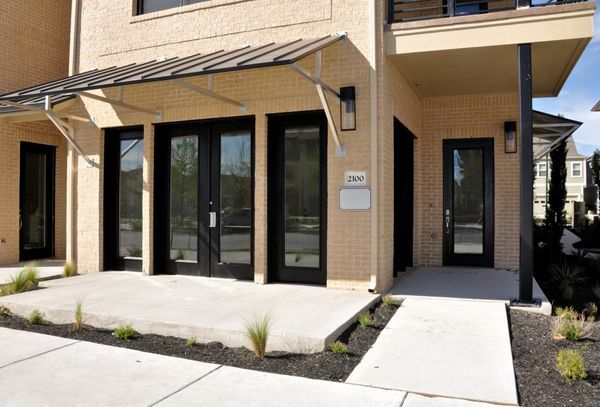 Meet some of your "Shop House" neighbors: Toy Dojo, Studio R, inc. 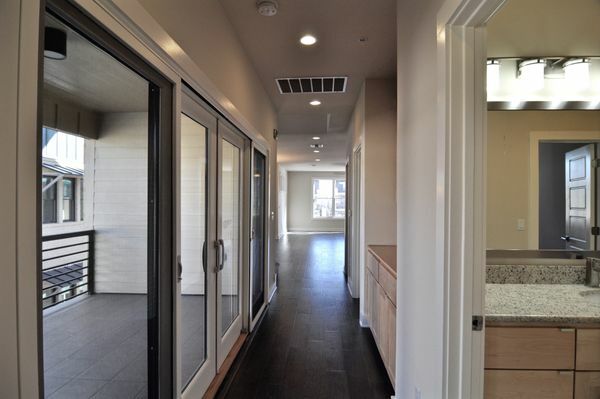 Architecture, Ashtanga Yoga, Haute European Salon, Tsasis Art Studio, Centerpath Wellness. 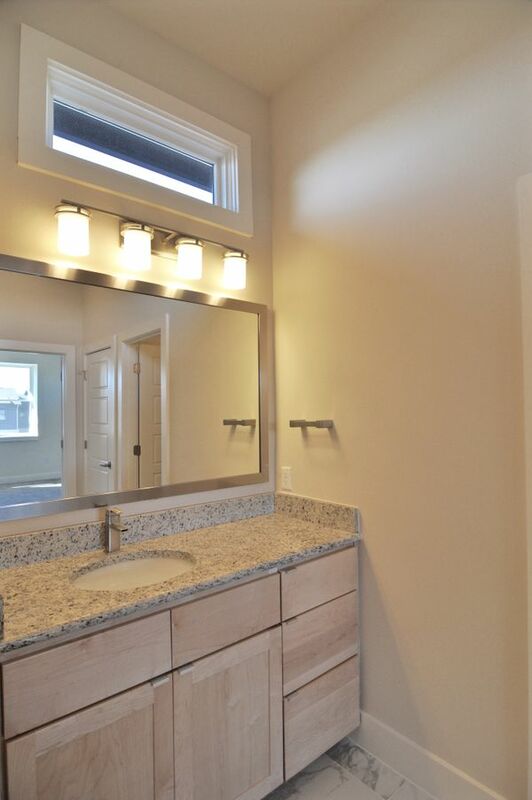 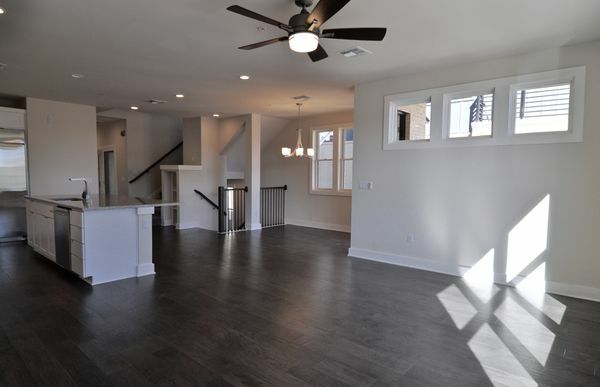 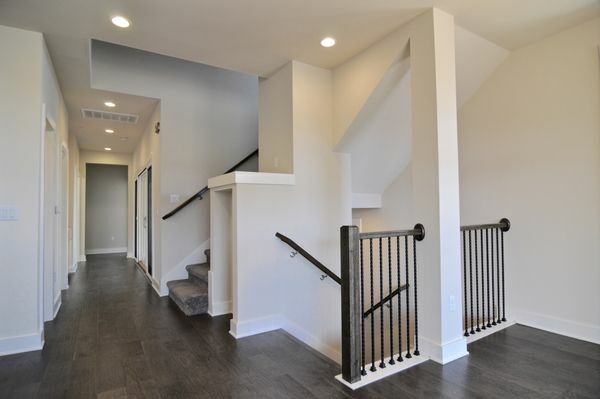 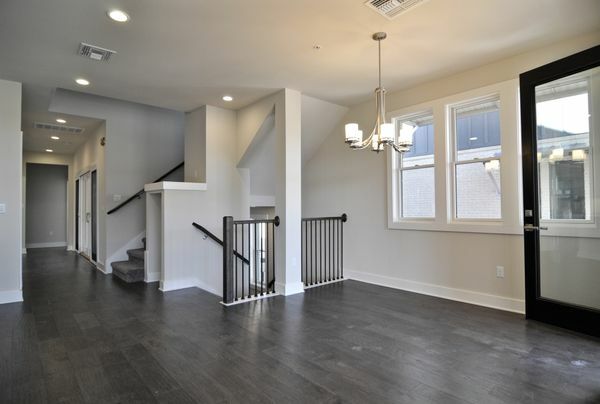 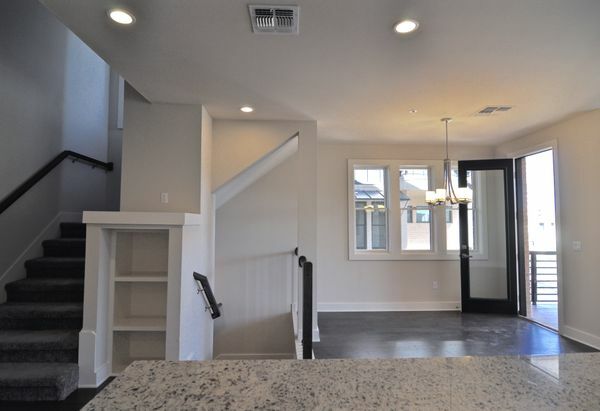 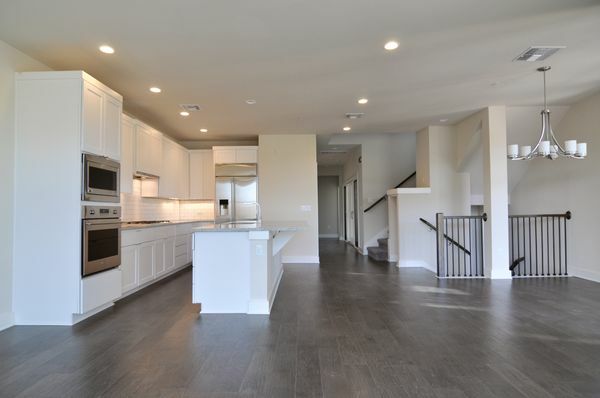 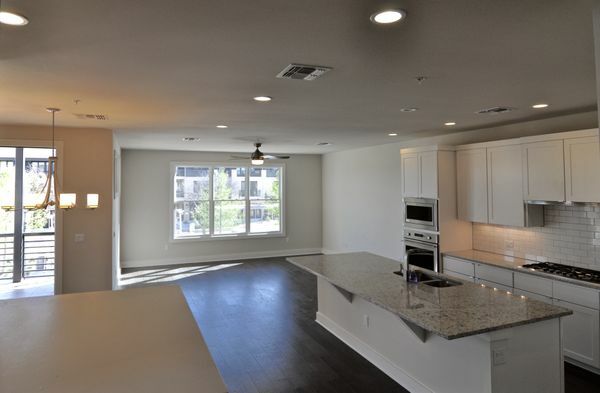 The spacious residence offers a 3BR/2BA open floorplan. 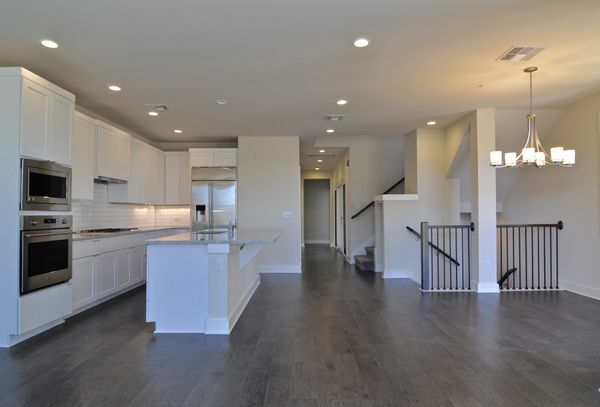 Features include: wood floors, high ceilings, gourmet kitchen, walk-in pantry, utility room, 3rd-floor master suite, front & side balconies. 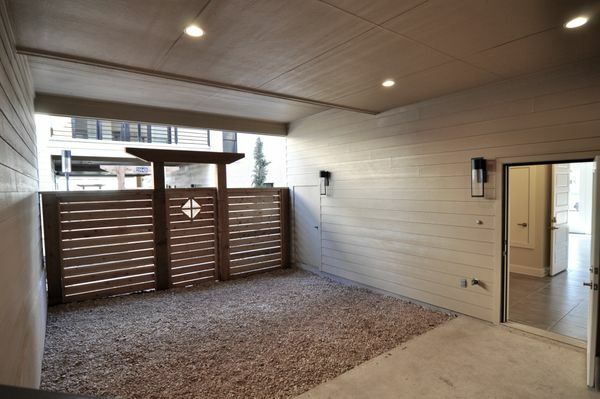 A large fenced covered courtyard connects the “house” entrance to the 2-car garage. 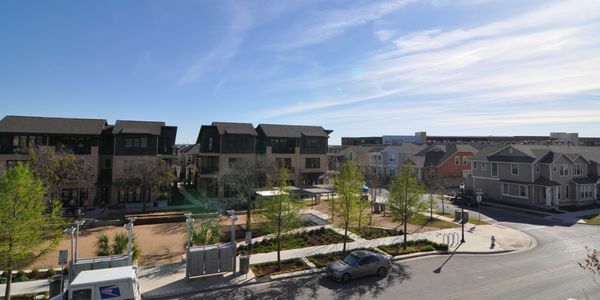 Mueller Austin, an urban infill development, is a model for sustainable community design. 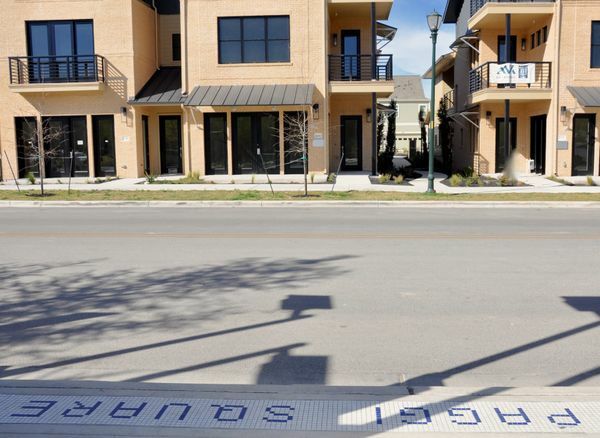 The 711-acre, former Mueller Municipal Airport, site has been transformed into an urban mixed-use community that affords homes, employment, retail, public park and open space. 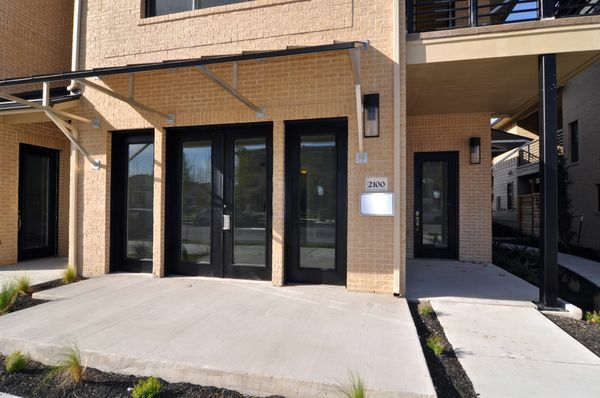 Home to Dell Children’s Medical Center Campus, UT Health Research Campus, Austin Film Studios and The Thinkery. 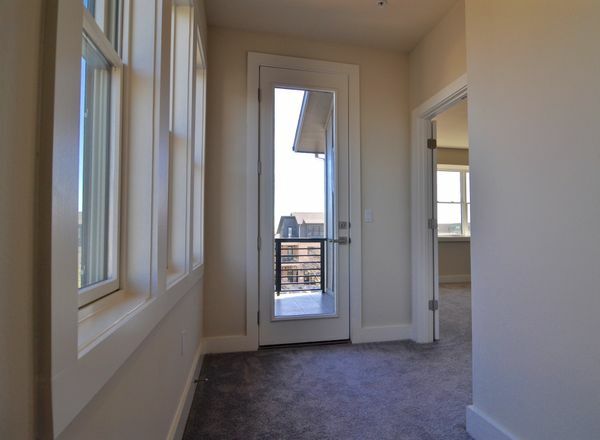 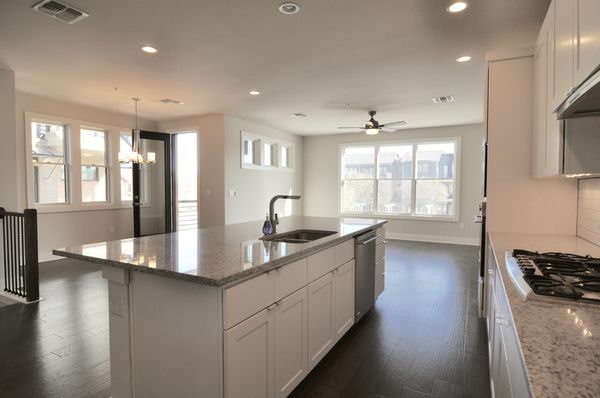 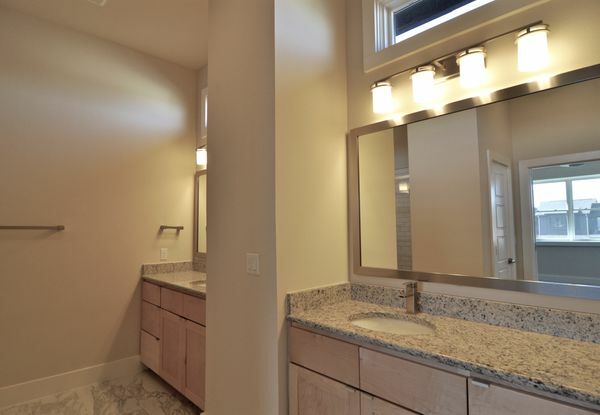 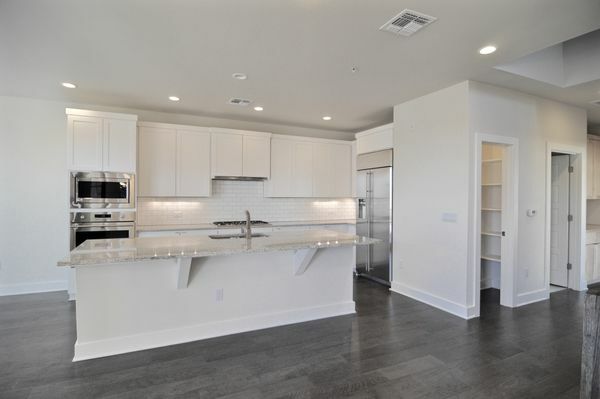 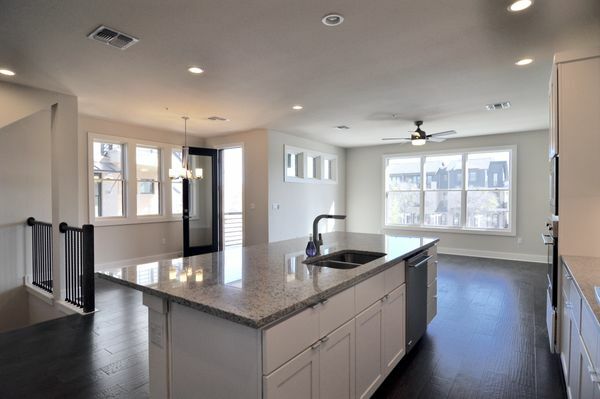 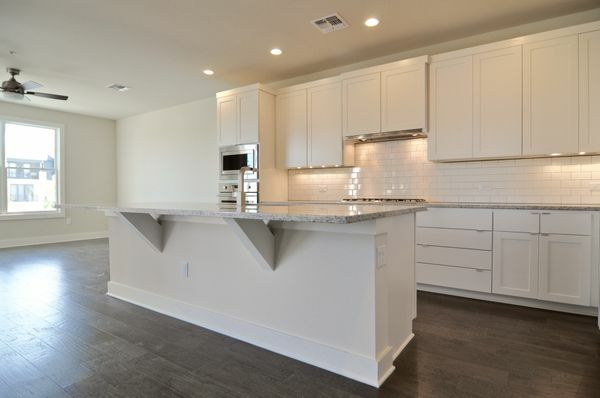 Bordered by Airport Boulevard, East 51st Street and I-35., Mueller is located just three miles from Downtown Austin and the State Capitol and two miles from The University of Texas at Austin.